The success of light science and technology is primarily the success of universal knowledge that has been built over the centuries where all civilizations and cultures have brought their contributions. Before the development of scientific thought, light has fascinated ancient civilizations and generated both curiosity and devotion. Thus, light arises as something essential in all cultures and civilizations. It is, in almost all texts on creation. 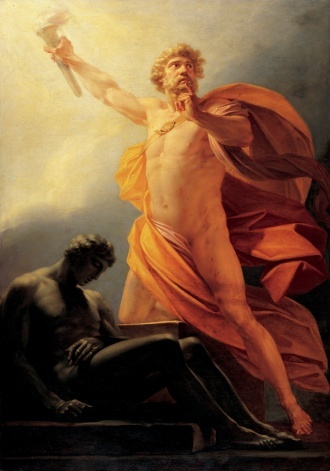 Prometheus Brings Fire. Credit: Heinrich Friedrich Füger. In ancient times, light was considered as a “fire” and what interested the Greeks was not the light itself, but the vision. Two theories emerged: the theory of “visual fire” or extramission and the theory of “external light” or intromission. The first works on vision is attributed to the School of Alexandria and specifically to Euclid (325 – 265, Av JC.) who developed the theory of extramission as a model for the study of optics. 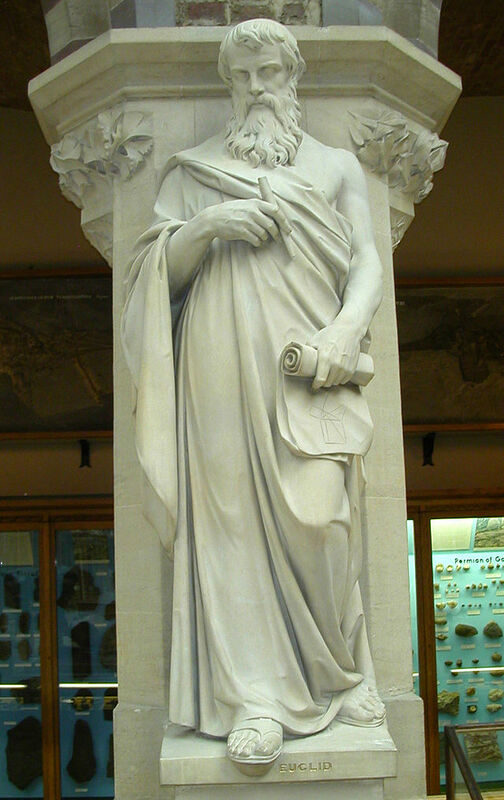 Euclid established the law of reflection by using experimental facts and assumptions (Euclidean geometry). He introduced the concept of visual ray and rectilinear propagation. The Euclid’s Optics is mainly based on the concept of visual ray not to be confused with the light ray as we understand it today. “… The visual ray is in no way equivalent to an inverted light ray.” G. Simon said in his book “Archaeology of optics”. The concepts of Euclid’s optics are mainly the visual ray that propagates linearly, the visual cone, with its origin in the eye and its base to the limits of what is seen and the visual angle formed by the rays reaching the two ends of the segment. Three centuries later, Claudius Ptolemy (100-170), one of the last beacons of Greek science, reported a sum of what was known in his time: the contribution of philosophers and Scholars about vision. For Ptolemy, reflection and refraction have the effect of breaking the sight, it is a cause of an error … When the light breaks over an obstacle instead of continuing its propagation in a straight line, it suffers an accident deceives. In short, the vision can become faulty due to reflection or refraction. As a whole, what interested the Greeks was not light, but the vision. The eye produces light and visual ray is a kind of quasi-hardware extension of the soul to feel the visible world as the touch. In a theory of sight, in the absence of a living being, the mirror reflects nothing that compared to visibility. That was the Greek heritage on the eve of the “night” of the Middle Ages that struck Europe where religion is expanding especially with the conversion of the Emperor Constantine in 313 imposing Christianity as the official “religion “. In this long and tumultuous night of the Middle Ages, two major events will upset the established order forever: the collapse of Rome in 476 and the advent of Islam (570-632). After the death of the prophet of Islam in 632, the Uma (nation of Islam) was first ruled by the four successors – Abu Bakr (632-634), Umar (634-644), Othman (644-656) and Ali (656-661) – considered by the Muslim tradition as enlightened caliphs. After them, the Umayyad dynasty seized power and transformed the current Damascus in Syria as the capital of the empire. From 661 to 750, priority is given to conquests. Cairo, Isfahan, Samarkand, Kiruna, Fez, Mosul became cities of the empire. Taking advantage of the weakening of the Umayyad family, her historical rival, the Abbasid family, seized the caliphate in turn to give birth to the Abbasid dynasty, whose reign will extend from 750 up to 1250 with the current Baghdad in Iraq as a capital. With this dynasty “Muslims” enlightenment-centuries began. 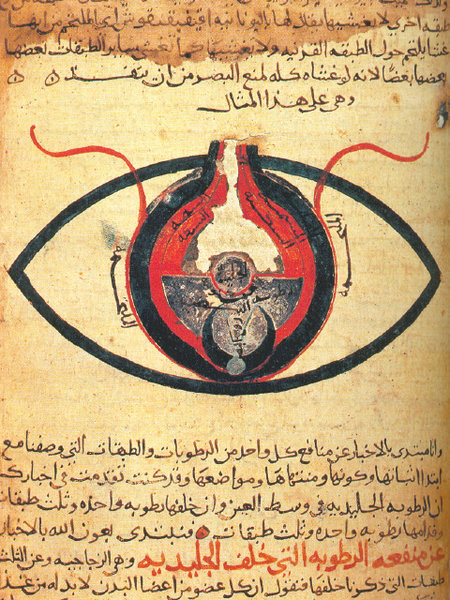 The eye according to Hunain ibn Ishaq, manuscript dated circa 1200. Credit: Wikimedia Commons. In a frenetic and a huge translation movement, the Muslim Scholars initially translated and studied all the works of the Greek (Aristotle, Plato, Archimedes, Euclid, Ptolemy), Persian, Indian, etc. In a climate of tolerance and respect of all religions, Muslims, Christians and Jews are endeavoring together to build the new civilization that erupted in human history for more than five centuries. Hunayn Ibn Ishaq (Isaac) (808-873), a Nestorian Christian, trilingual (Arabic, Syriac and Greek) is the perfect example of this new era. He was an authority in the translation of Greek works into Arabic with Syriac as an intermediate language. He has led teams of Jews, Christians and Muslims in the house of wisdom. Himself a great Scholar, he has written several treatises on the eye and said the sensitive organ of the eye lens was located in the center of the eye. From this period we also retain great philosophical and theological movement that promoted and created a unique intellectual space of thinking, exchange and debates. Four names will play a key role in the development of Arab Optics: Al Kindi (801-873), Ibn Sahl (940-1000), Ibn al Haytham (965-1040) and Al Farisi (1267-1320). Presumably, the interest of Arab Scholars in burning instruments was crucial in the development of optics. They were aware by the legend that Archimedes fired the Roman fleet of General Marcellus Syracus in order to defend his city in 212 BC by building a mirror to reflect 24 beams at one focal point. Reproducing this sophisticated weapon was one of the objectives of this new research on catoptrics and anaclastic. Yaqub Ibn Ishaq Ibn Sabah Al-Kindi (801-873), known as the “Philosopher of the Arabs” of the medieval period, supported the “extramission” Euclid’s theory of visual ray and made some corrections. For instance, he excluded a purely geometric design of the visual ray and considered the rays as three dimensions prints produced by the body. He also considered a theory of ray power: the bright objects emit light in all directions. 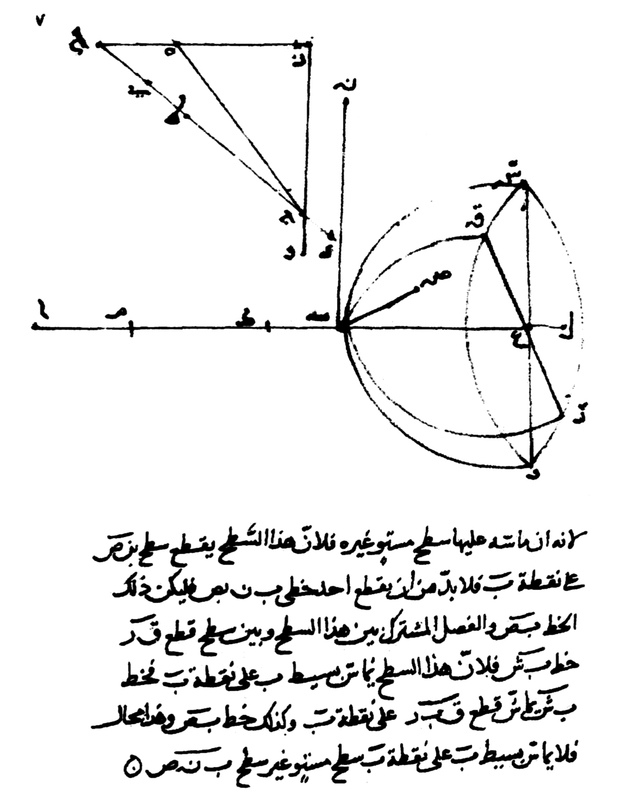 Reproduction of a page of Ibn Sahl’s manuscript showing his discovery of the law of refraction, now known as Snell’s law. Credit: Wikimedia Commons. Abu Alla Al Sad Ibn Sahl (940 – 1000), author of a treatise on burning instruments around 984, mathematician associated with the Baghdad court, he explained how lenses and conical instruments deflect and focus the light. Roshdi Rashed recently discovered two important Ibn Sahl’s manuscripts in Damascus and Tehran. These books are both theoretical and experimental (they report mechanical processes to draw conics). For the first time, Ibn Sahl studied burning instruments not only by reflection but also by refraction (something that nobody had done before him). He analyzed the parabolic mirrors and burning ellipsoidal. He also examined the hyperbolic mirrors, plane-convex lens and hyperbolic biconvex. Although his work was within the Greco-Arab continuity of research on burning instruments, his studies of refractive lens was the first break with the tradition of that time. His genius idea was to characterize every medium by a constant ratio, centerpiece allowing him to discover the law of refraction five centuries before Snellius (i.e. Snell’s law). R. Rashed, ‘Histoire des sciences arabes, tome1, 2 et 3’, Ed. du Seuil (1997). R. Rashed, ‘L’optique et la cataoptrique’, Volume 1, Ed. E. J. Brill (1997). R. Rashed, ‘Optique et mathématique’, Ed. Variorum (1992). R. Rashed, “A Pioneer in Anaclastics—Ibn Sahl on Burning Mirrors and Lenses,” ISIS 81, 464-91 (1990). R. Rashed, ‘Problems of the transmission of greek scientific thought into arabic : examples from mathematics and optics’, 199-209, Science History Publications Ltd (1989). R. Rashed, ‘Analysis and synthesis according to Ibn al Haytham’, C. C. Gould and R. S. Cohen (eds.) Artifacts, Representations and Social Practice, 121-140, Kluwer Academic Publishers, Printed in the Netherlands (1994). G. Simon, ‘Archéologie de la vision : l’optique, le corps, la peinture’, Ed. du Seuil (2003). B. Steffens, ‘Ibn al Haytham, First scientist’, Ed. Morgan Reynolds (2007). D. C. Lindberg, “Medieval Islamic Achievement in Optics”, Optics and Photonics News, 31-35, July (2003). H. R. Turner, ‘Science in Medieval Islam’, University of Texas Press (1995). B. Maitte, “La Lumière”, Ed; du Seuil (1981). V. Ronchi, ‘Histoire de la lumière’, Ed. Jacques Gabay (1996). R. G. Morrison, ‘The enterprise of Science in Islam’, Edited by Jan P. Hogendijk and A. I. Sabra, Cambridge, MA/ London : MIT Press (2003). V. Gonzalez, ‘Universality and Modernity of Ibn al haytham’s Thought and Science’, The Institure of Ismaili Studies (2002). Filali-Ansary, ‘Islam’s Reformist Tradition’, The Institute of Ismaili Studies (2004). R. Gorini, ‘Al Haytham the man of experience. First steps in the science of vision’, 53-55, JISHIM (2003). J. J. O’Connor and E. F. Robertson, ‘Abu Ali al Hassan Ibn al Haytham’, Mac Tutor History of Mathematics (1999). (www-history.mcs.st-andrews.ac.uk). Herausgegeben von Fuat Sezgin, “Wissenschaft und Technik im Islam“, Institut für Geschichte der Arabisch-Islamischen Wissenschaften an der Johann Wolfgang Goethe-Universität, Frankfurt am Main (2003). Dominique Raynaud, ‘Ibn al-Haytham sur la vision binoculaire: un précurseur de l’optique physiologique’, Arabic Science and Philosophy, 2003, 13: 79-99. Sameen Ahmed Khan, ‘Arab Origins of the Discovery of the Refraction of Light’, OPN October 2007. Charles M. Falco, Aimée L. Weintz Allen, ‘Ibn al-Haytham’s Contributions to Optics, Art, and Visual Literacy’, PainteOd pticsS ymposi, Florence, September 7 -9, 2008. Anne-Valérie Dulac, ‘Shakespeare et l’optique arabe’, Actes des congrès de la Société française Shakespeare (Shakespeare et l’Orient) 27 (2009). Azzedine Boudrioua is a full Professor at the University Paris 13. He is leading Organic Photonics and Nanostructures group of Laboratoire de Physique des Lasers (LPL). He is currently developing activities in the field of nanophotonics as well as nonlinear optics. He was involved in the organization of several conferences. He participates to several national and international scientific committees and expert panels. He is a member of the French Optical Society board and he is involved in several national and international projects and he is leading some of them. More recently he also concentrates on the history of medieval optics. 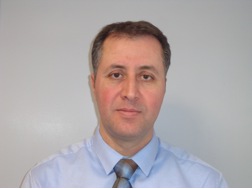 He is Coordinator of Ibn al Haytham International Working Group. Reblogged this on Elizabeth Dreyer. Please watch this video starring Oscar-winning actor and screen legend Sir Ben Kingsley to know more about Al Haytham. Thanks.